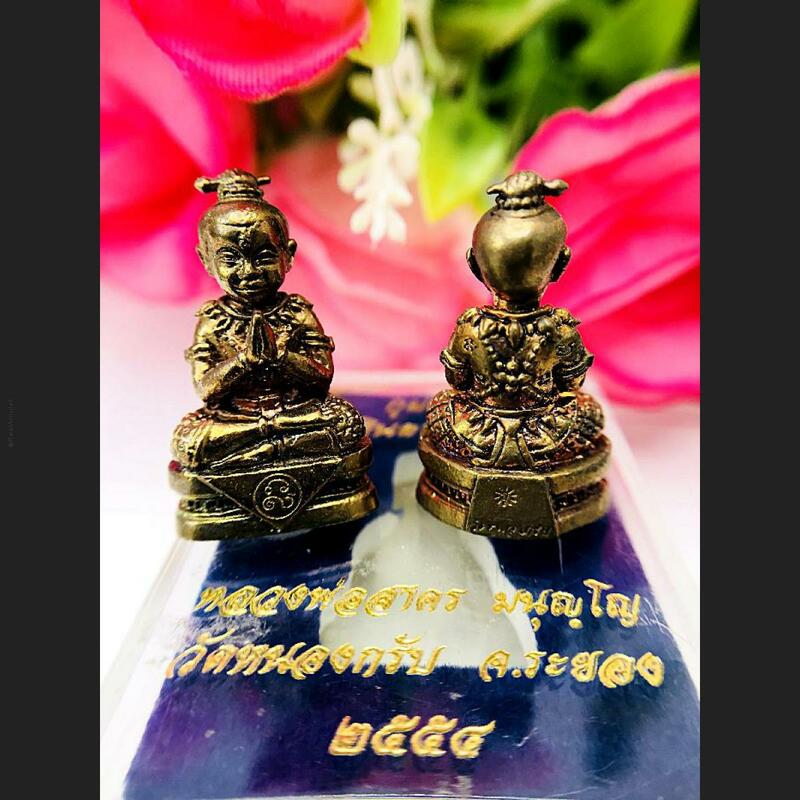 Item 名稱: ATURE BRONZE GUMAN JINDAMANEE PPKM ASHES GAMBLING LUCKY AMULET THAI LP SAKORN 2553. The famous Pong Plai Kumarn of LP Sakorn, Wat Nong Grub, from the now extremely preferred and highly sought after 73th anniversary edition, which contained a large quantity of some of the very last remaining Pong Plai Kumarn Powders of LP Tim. 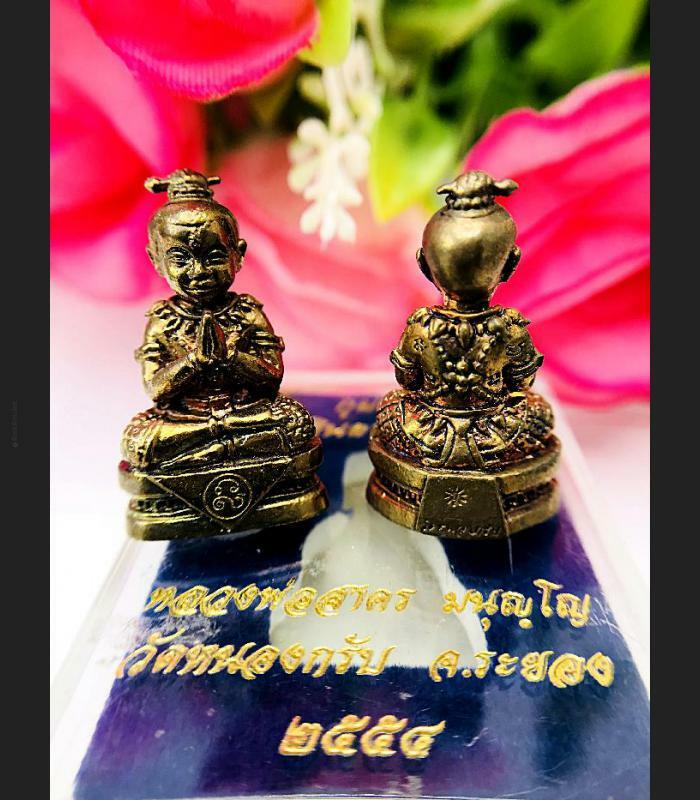 The amulets of Luang Por Sakorn are now an extreme rarity since the Passing Away of the Great Luang Por Sakorn, and prices are rising so fast to approach those of his predecessor and mentor Luang Pu Tim Issarigo, of Wat Laharn Rai. Muan Sarn Sacred Powders Used In The Making Of LookOm PongPrai Kumarn is mixed of powdered PraSomdej Wat BangKhunProhm 2500 Be, Look Om balls from LP Tim (Wat Laharn Rai) and blessed gems of Luang Pu Tim, used in the making of Pra Kring and Look Om amulets, and many more sacred powders were used.